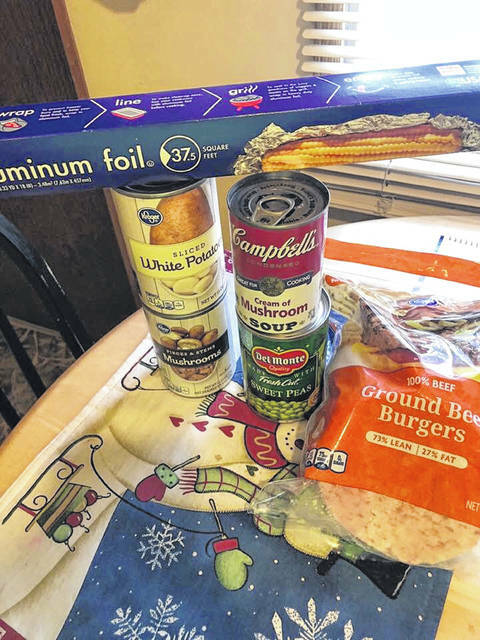 Shown are the ingredients for LeeAnn Pickering’s hobo dinner foil packets. I hope everyone stayed warm this week. It has been so cold! I am sure everyone has been cooking lots of good food as it is too cold to do anything else. This week, LeeAnn Pickering is sharing a recipe for her hobo dinner foil packs. Yum! This looks good and it’s easy. Just what I like: good food that’s easy to fix. Thank you so much, LeeAnn, for sharing this recipe with all of us. 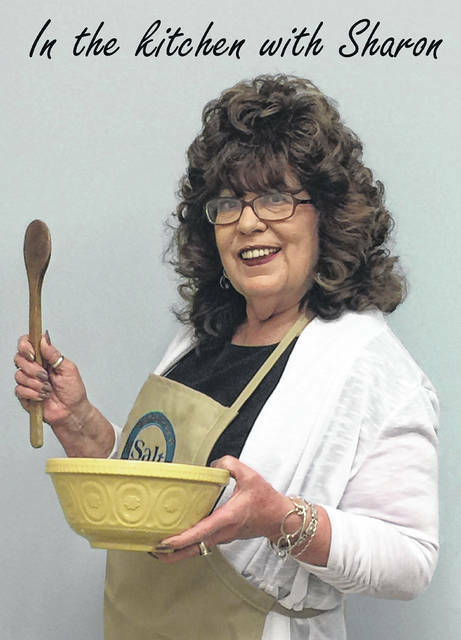 I want to thank everyone for sharing all of your recipes with us. I am getting lots of wonderful comments. Keep your recipes coming! Prep time: 15 minutes. Cook time: 45 minutes. Total time: One hour. • 1 lb lean ground beef. • 4 small potatoes, peeled and sliced; or canned potatoes. • 2 cups carrots, chopped; or whichever veggie you prefer. • 1 large or 2 small onions, sliced. • 1 tsp garlic powder. Preheat oven to 375 degrees Fahrenheit. Form hamburger into patties and set aside. In a large bowl, combine all remaining ingredients except mushroom soup. Toss until well mixed. Spray a 12-by-18-inch piece of foil with non-stick spray. Place a quarter of the vegetable mixture in the center of the foil. Top with one beef patty. Add two tablespoons of condensed mushroom soup on top of each patty. Seal foil packets well. Place beef side up on a large baking sheet and bake 35-45 minutes or until potatoes and carrots are tender.